All of our music and dance classes are taught by junior instructors (advance level students who have been in the program for over five years). Each class has at least one junior instructor and one adult who oversees the overall classroom. Minimum age requirement: 5 years-old. Students learn in a group setting and are expected to work as a team and support one another to effectively learn the dances. We believe this teaching structure helps to foster long-lasting relationships and create a positive and inclusive environment. We rent 4 studio spaces at Momentum Dance Academy which feature professional dance floors and floor to ceiling mirrors. 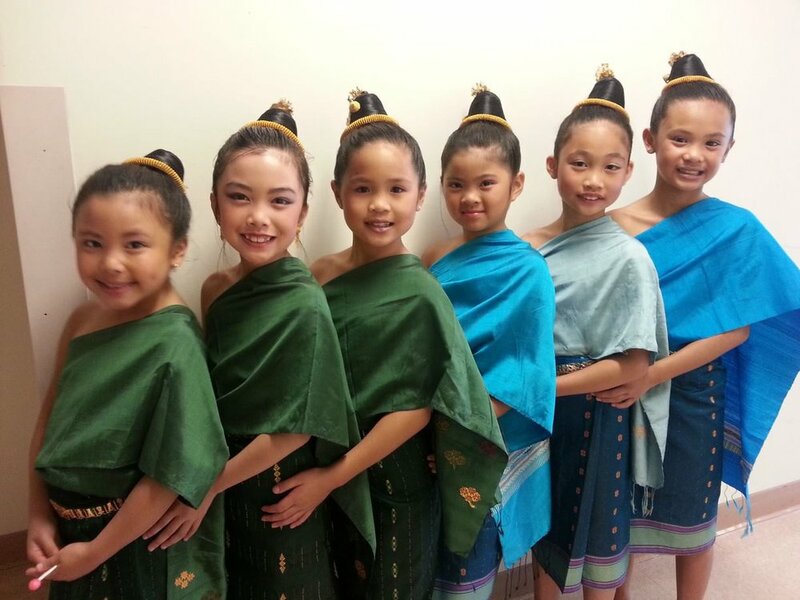 This class is a great basic introduction to learning about Lao traditional dance and finding the rhythm and beat! This is a new class that will teach dances centered around various Lao mythical warriors & sword dances. This class focuses on the distinguishing rhythm and beat, "bouncing," balancing, hand & foot coordination, understanding the meaning of songs, and cultural etiquette. This class focuses on lines/formations, facial expressions, group synchronization, flexibility, endurance, having elegance and grace in movements, understanding the meaning of songs, and cultural etiquette. This is a select class. Student must demonstrate strong stage performance before being selected for the class. Instructor permission required. You can purchase a Kinnaly Hair Kit OR individual items as needed to complete your kit. Please Note: These items are strictly for Kinnaly students only and are not sold to the public.